Or Wexler was born in Jerusalem and raised in the old city. She has a strong background in Jewish text study and a deep love and knowledge of Bible, Mishna, Midrash and Hebrew literature. Or holds a bachelor’s degree in women studies and theater from Tel Aviv University and a Master of Jewish Education and Administration from Yeshiva University, NY. 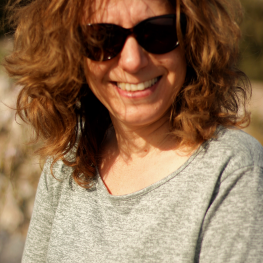 Or’s favorite hobbies are drama, going to the Jerusalem Cinematheque and dancing to Mizrachi and pop music.